Fan-favorite iOS Twitter client Tweetbot recently announced it would be shutting down its alpha testing as a result of Twitter’s recent API restrictions. Initially, Tweetbot developer Tapbots reassured us all that the application would be just fine, and the team was working closely with Twitter on the project. 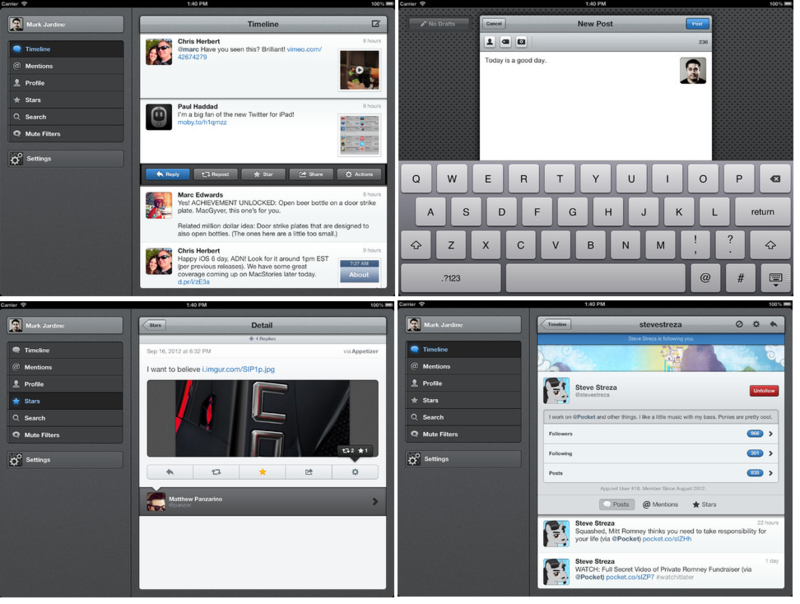 Unfortunately that was not the case, as user tokens became limited and so did Tweetbot’s ability to functionally test its app. So while Tweetbot for Mac waits in the proverbial wings, Tapbots decided to take action where it could – over at App.net. The anti-Twitter, microblogging platform has been developer-friendly from the get-go, launching in reaction to tide of API restrictions Twitter began whispering about early last summer. App.net recently announced it would be incentivizing — allowing developers to build for its platform by offering them a crack at a $20k pool. App.net also recently dropped its user fees from $50 a year to $36 a year, or $5 a month. The quick assumption there is that the platform is trolling for new users as its initial hype begins to fade, but App.net is spinning this as good news, saying it’s nearing 20,000 users, easily surpassing its 10,000 paying members goal. Of course, it’s still no Twitter – which, this summer, was estimated to have more than 300 million registered users. But given the platform’s distancing from developers, it’s only natural that app builders are starting to look elsewhere, Tapbots included. Haddad says App.net is also working on bringing expected features like push notifications and private messaging to the platform, and once available, they will be integrated into Netbot as well. 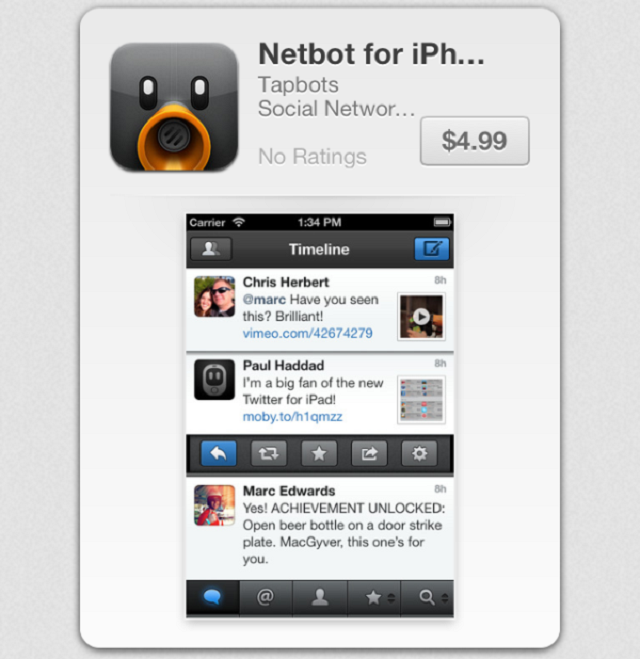 Netbot for iPhone and iPad is available today (both cost $4.99 — Tweetbot for iPhone is $2.99, for the record), and the app is incredibly reminiscent of what we all fell in love with in Tweetbot for iOS. App.net iOS users will absolutely want to turn to this client for their mobile use. Getting Tapbots – a very respected and creative team – on board with the platform speaks well of where mobile development for App.net is going and the kind of talent it’s attracting. But it’s important to remember that App.net is not a Twitter-as-we-know-it-now killer – it’s just trying to resurrect what Twitter was and could have been.